At Pinnacle HVAC, we strive to bring Framingham homeowners and business owners the very best in furnace and air conditioner repairs, installation, and maintenance. Since 2001, when Jay Savoie founded the company, our number one goal has been to reach the pinnacle of customer service. That means to be the very best. It’s a lofty goal, but we think it’s one worth striving for every single day. So what can you expect from a company with a name like Pinnacle? Here are just a few of the advantages we offer. From the time he was 14 years old, Jay Savoie worked for his father’s heating and cooling company. You might say he’s got Freon in his veins. When he grew up, he realized that he wanted to start his own company and he wanted it to be the best company in town. Hence, the name – Pinnacle. Now, every day, Jay and his crew work their hardest to provide the best heating and cooling service AND the best customer service to homeowners and business owners alike in Framingham and surrounding areas. When you hire Pinnacle HVAC, you can expect the best. 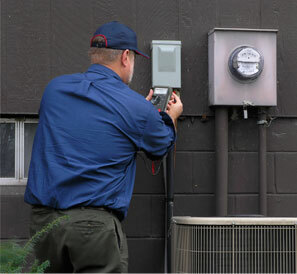 Call us for all of your heating and cooling needs. Call (781) 647-7117.